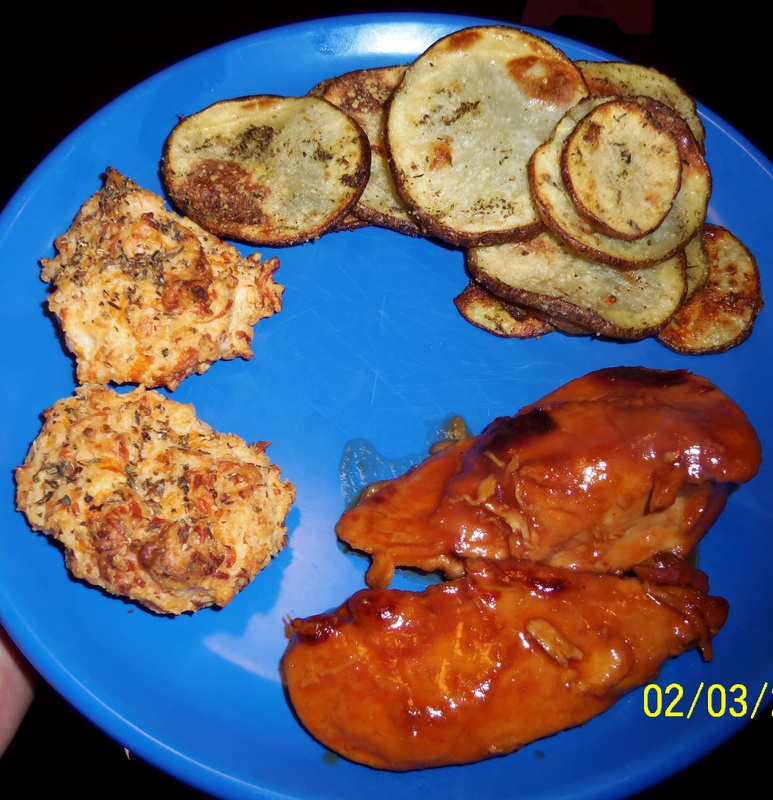 Crockpot BBQ Chicken | Mommy, I'm Hungy!! I tried another new recipe tonight that was a huge hit!! I found this recipe for Crockpot BBQ Chicken on Pinterest. It is super easy and is made in the crockpot…need I say more? Mix BBQ sauce with all ingredients listed under it. Place chicken in the crockpot. Pour the sauce over the chicken and cook on LOW for 4-6 hours. That’s it…you don’t really even have to stir it, but I do because I like to mix it up and I love how you can smell it all over the house. This was definitely a huge hit and will be made often around here. Even my 2 1/2 year old daughter, Cheyenne, loved it! She can be kind of picky when it comes to trying new things and things that are fixed differently than she is used to. She ate it all up and asked for more. I made Easy Oven Roasted Potatoes and Cheddar Biscuits just like Red Lobster’s. This dinner was amazing and I hope you get to try it soon!! Come back and let me know what you think if you try it! I love to hear what you think! !